This week Amazon sticks a giant serrated knife into the price tag of the iconic action hero's complete Blu-ray set! 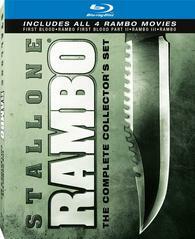 The online retailer is now selling 'Rambo: The Complete Collection' for only $27.49 (50% off suggested list price). The deal will run from now through July 30.